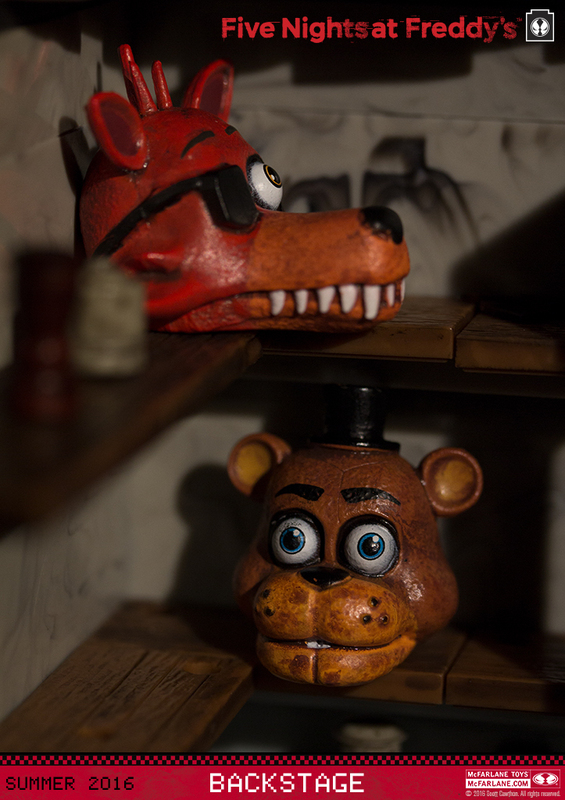 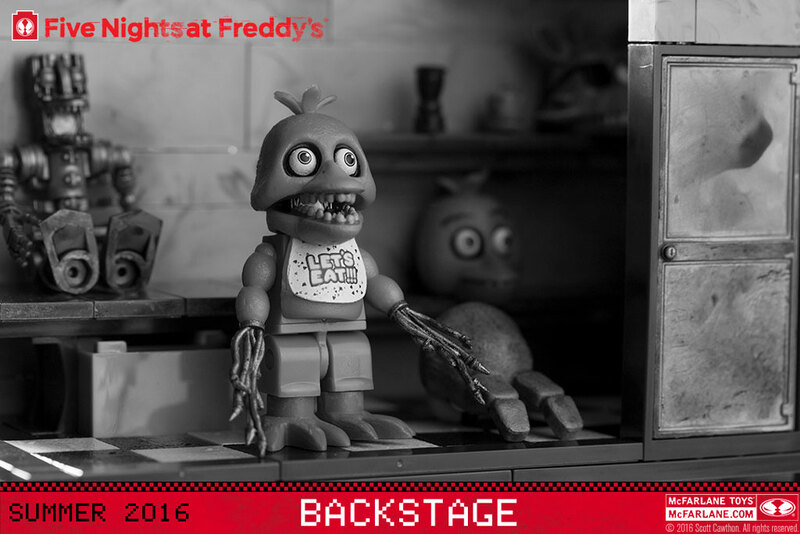 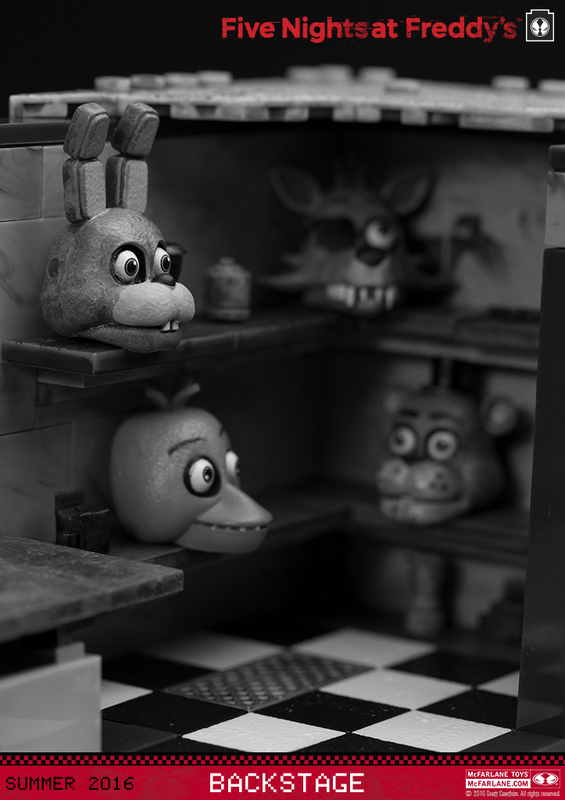 Hidden in the bowels of the Freddy Fazbear’s Pizza building is the Backstage workshop where animatronics are either fixed with fresh new parts or left to lurk in disrepair. 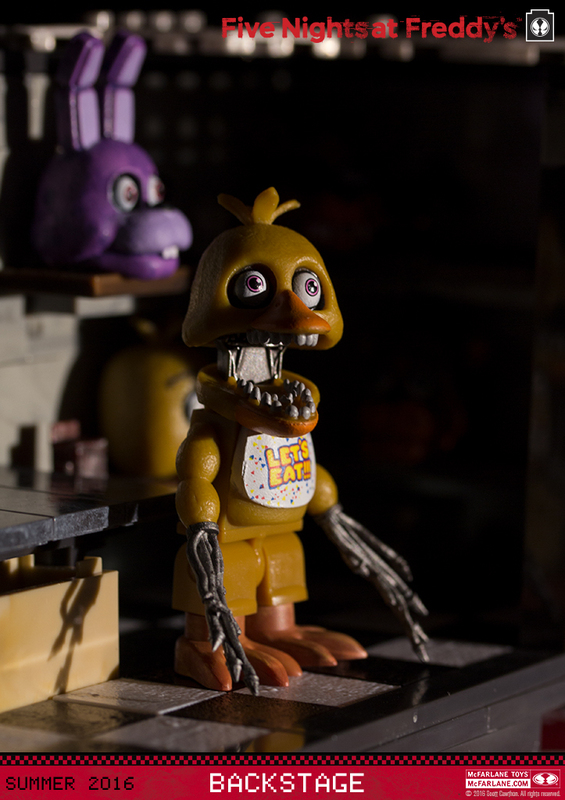 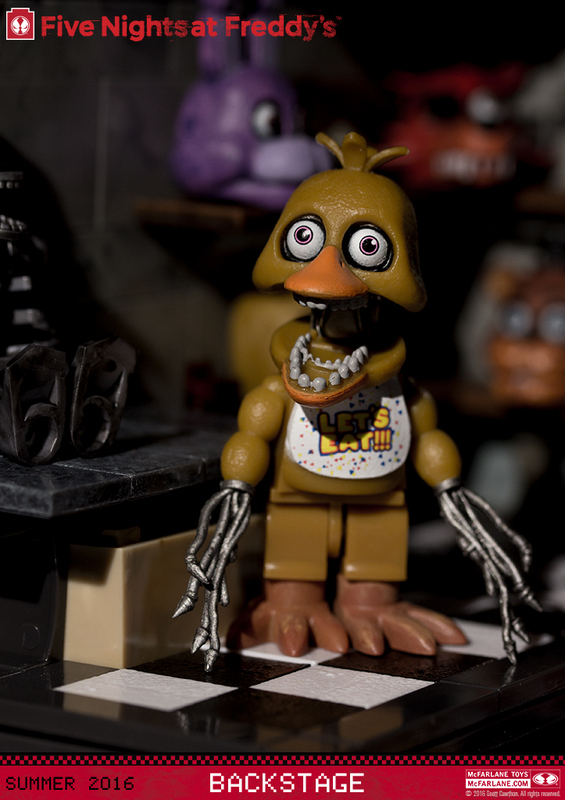 This employee only area features spare animatronic parts, a sitting endoskeleton on a workbench, a spare Freddy Fazbear head, a spare Chica head, a spare Bonnie head and a spare Foxy head. 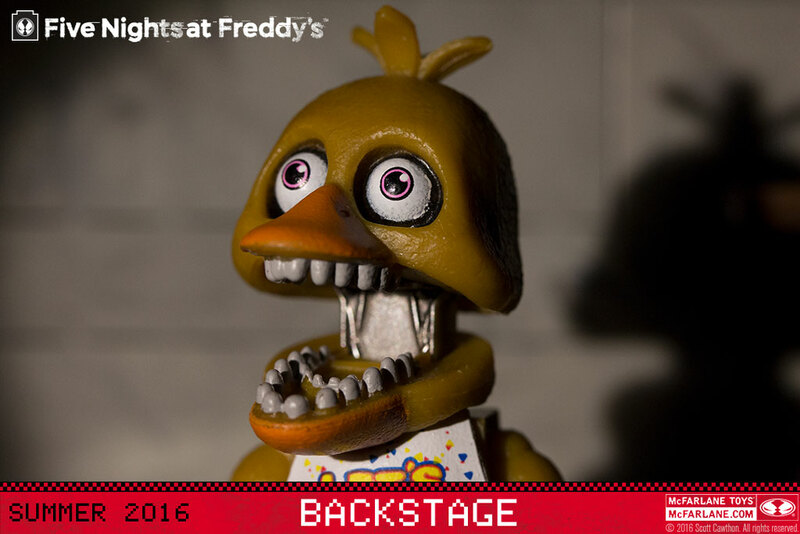 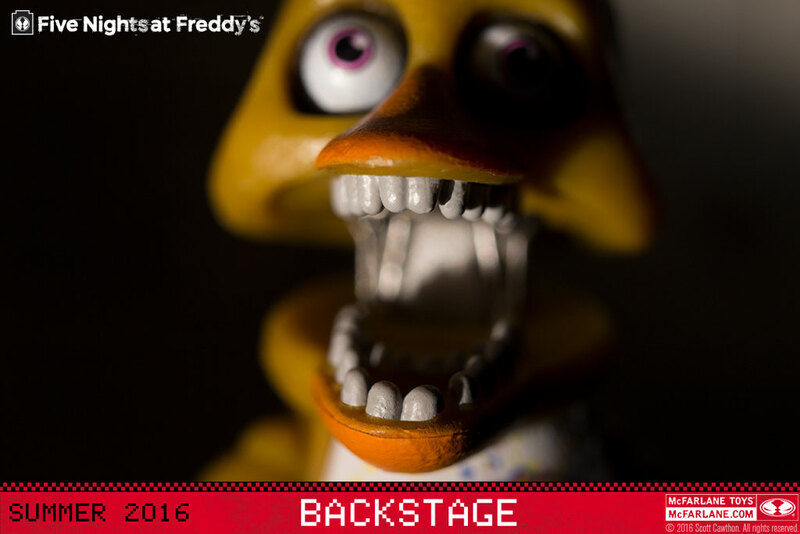 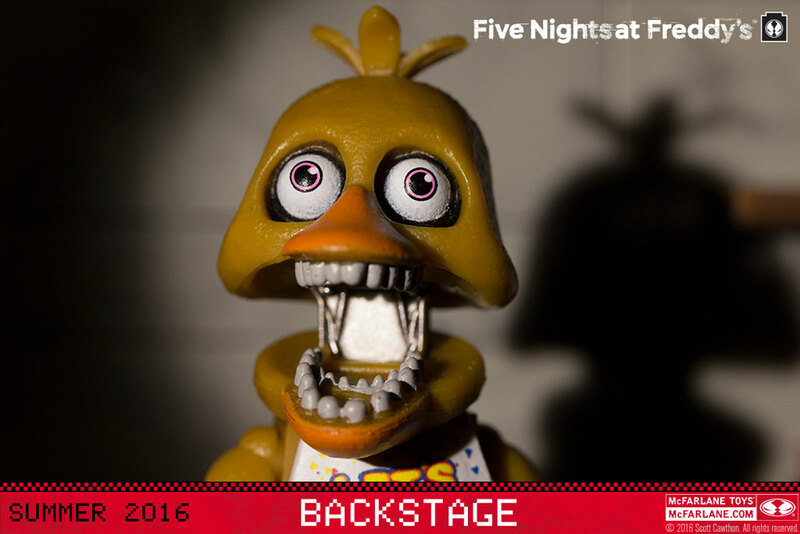 Inhabiting the nightmare inspiring Backstage room, the Withered Chica figure is on the lookout for any endoskeletons without their suits. 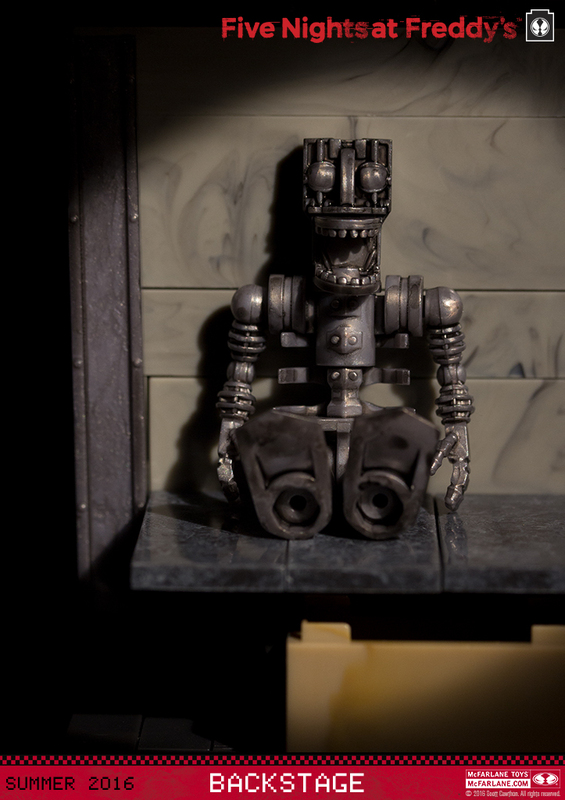 There might be one rogue endoskeleton sitting in the Security Guard’s Office….. 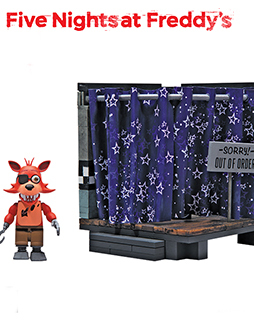 This set contains approximately 153 pieces and all of the pieces are compatible with other construction brands! 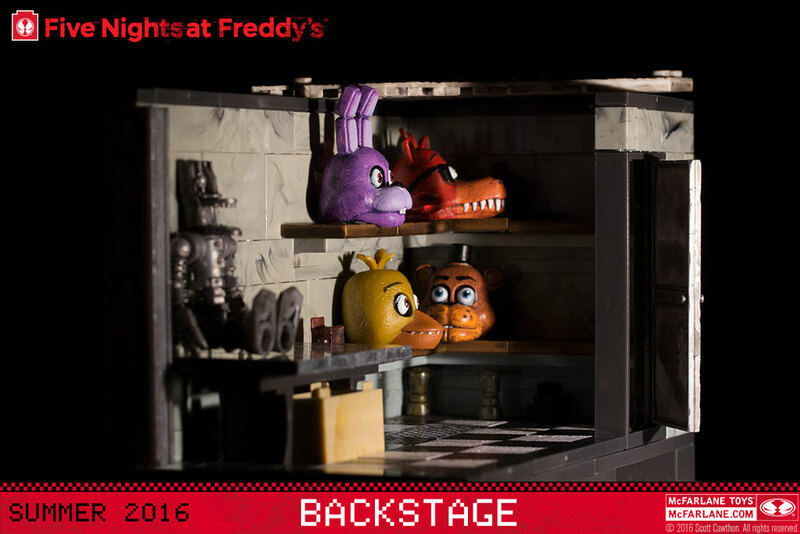 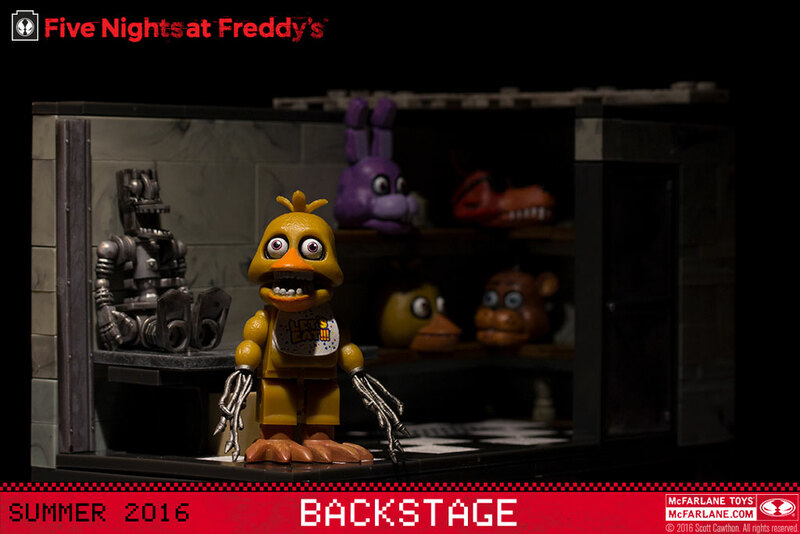 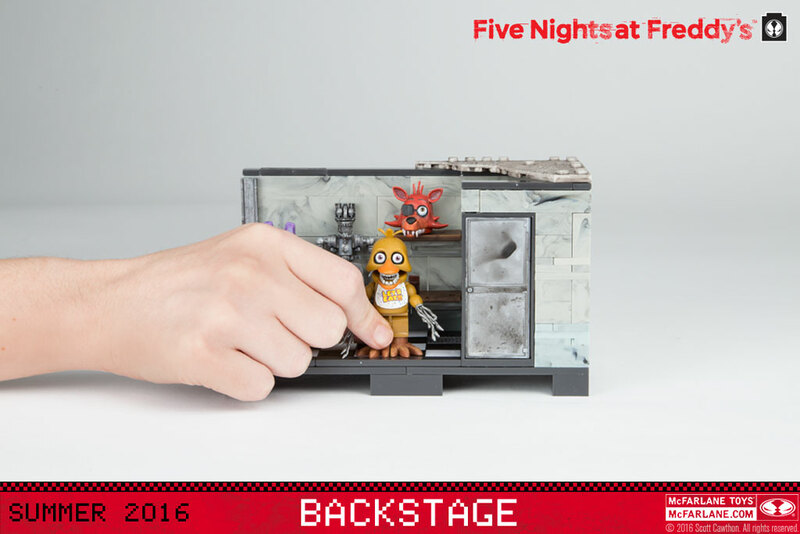 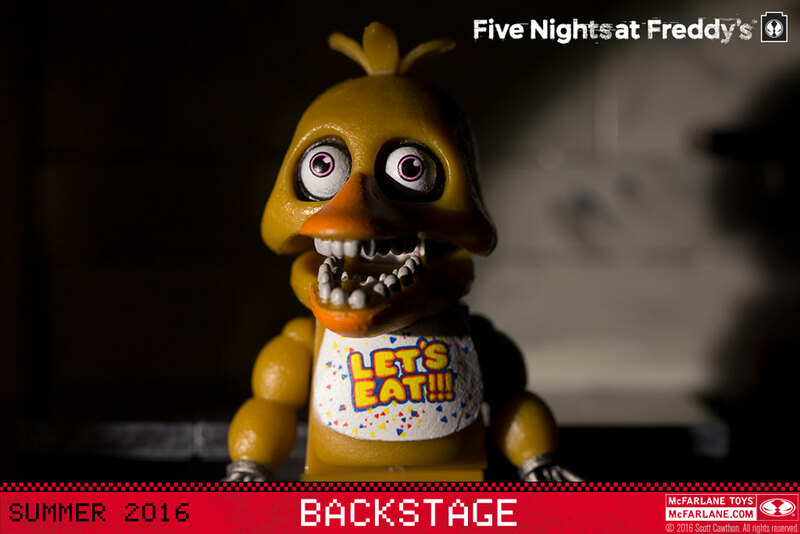 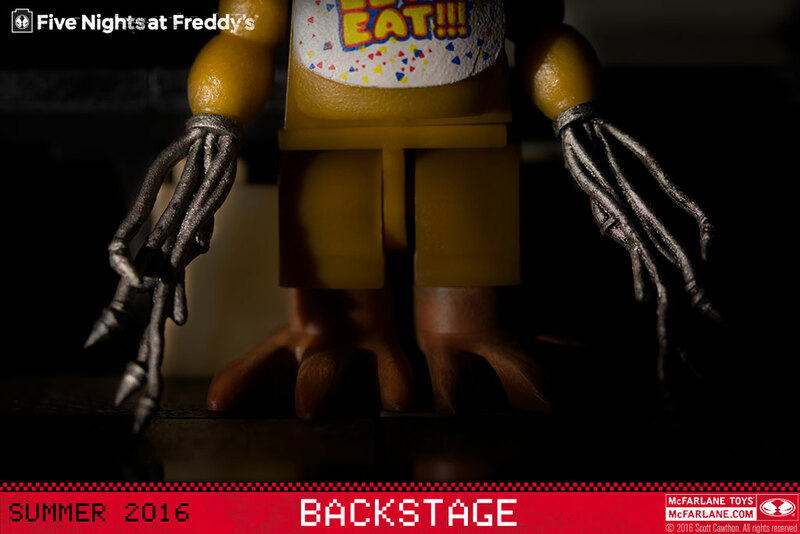 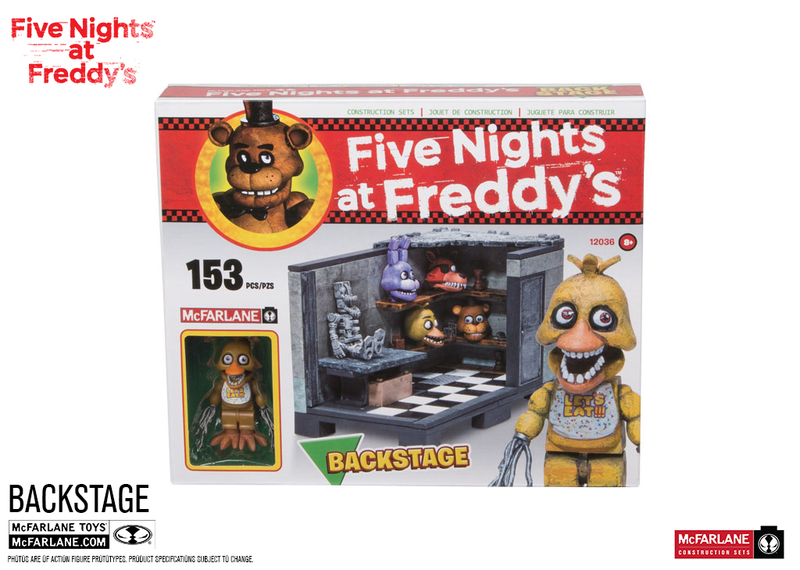 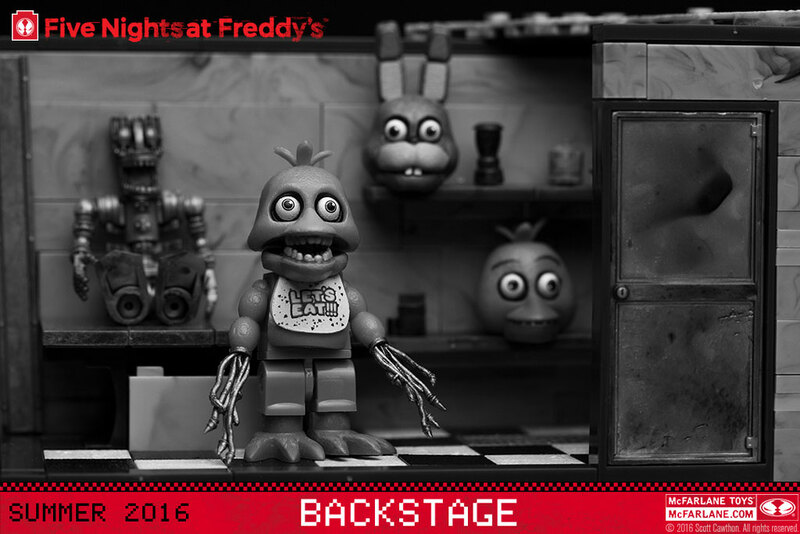 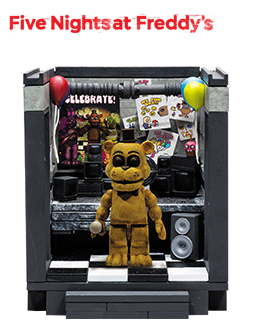 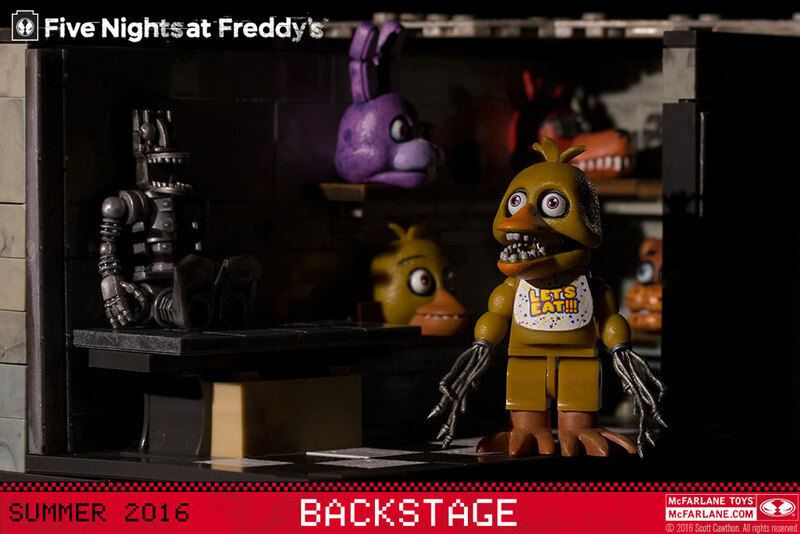 The Backstage set can also nest together with The Office, Pirate Cove & Show Stage sets to create a bigger Freddy Fazbear’s Pizza Restaurant! 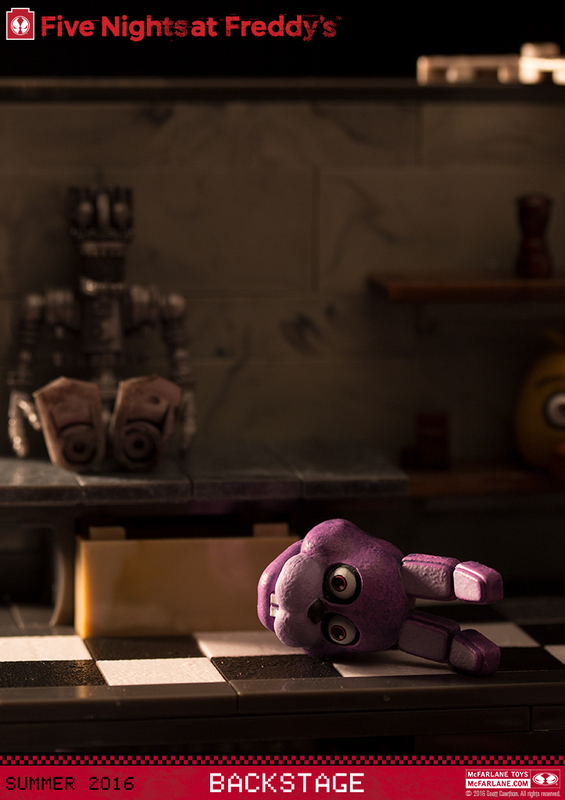 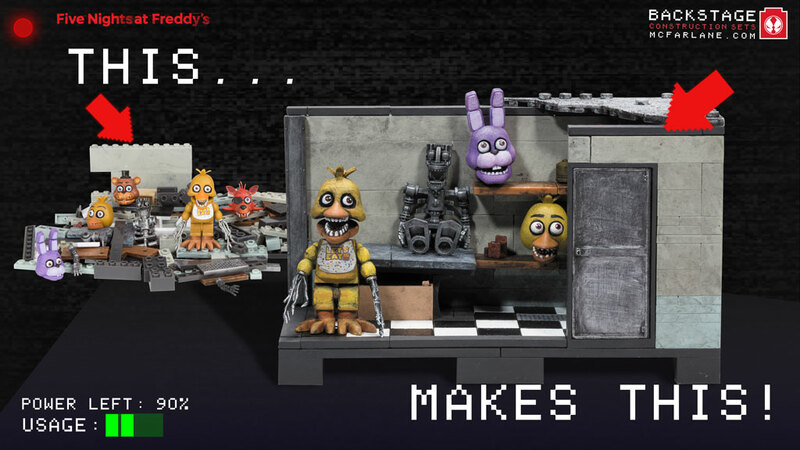 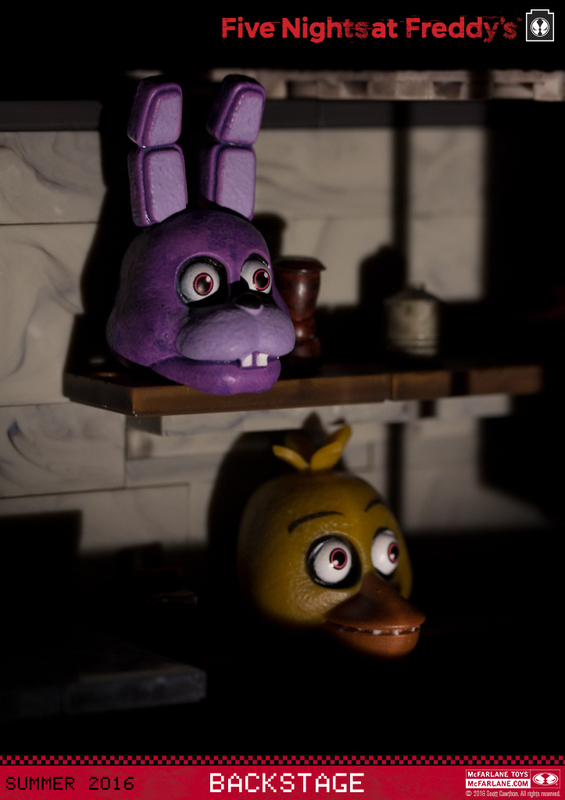 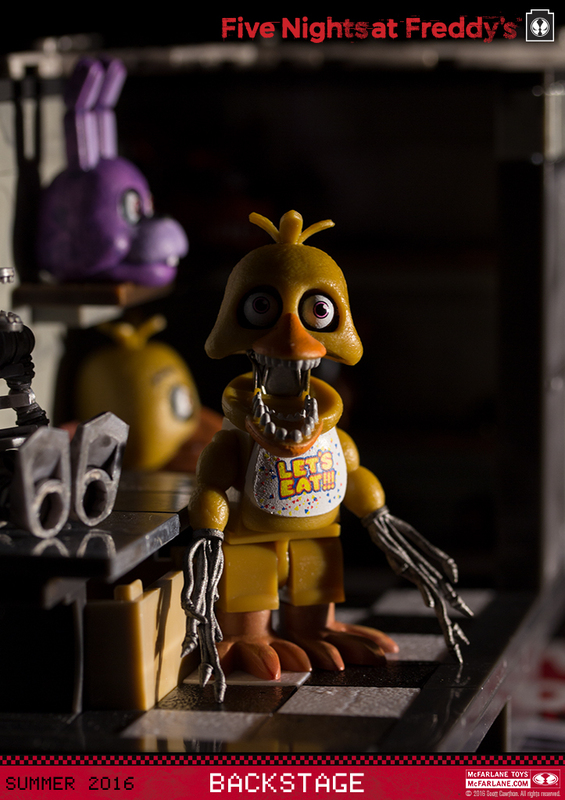 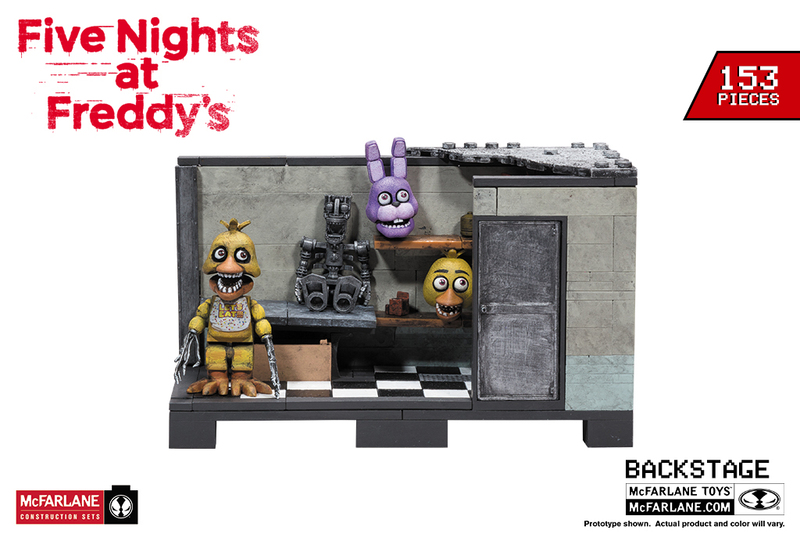 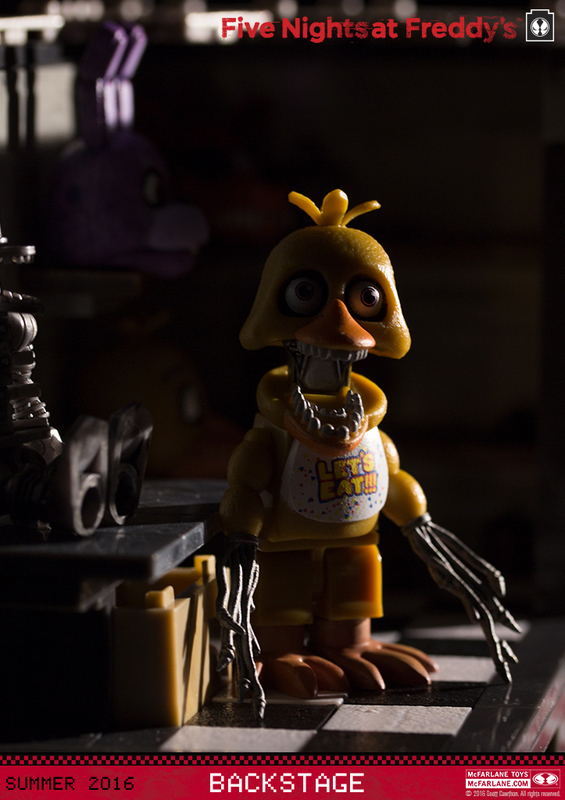 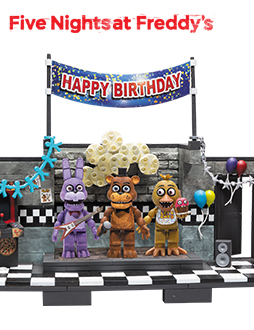 Construction set features spare animatronic parts, a sitting endoskeleton on a workbench, a spare Freddy Fazbear head, a spare Chica head, a spare Bonne head and a spare Foxy head.